4H-TECH Short shifter K-Shift for F40 Transmissions as fitted in several cars like Opel (Astra-J OPC), Buick, Vauxhall (Astra-J VXR), Astra-K 1.6 Bi-turbo diesel and Chevrolet. This 4H-TECH K-Shift is especialy designed for the gen-2 F40 transmission from Model Year 2013-2016. Popular cars with this F40 transmissions are for example Opel Astra J OPC, and several Insignia A models. By fitting this linkage you will have a gear throw shortening of 45%. A real power shifter which reduces shift times, so up coming gears can be engaged faster. The F40 gearbox in your car can be fitted with 4 different types of shifter systems. Not sure which 4H-TECH Short Shifter will fit your F40 gearbox? 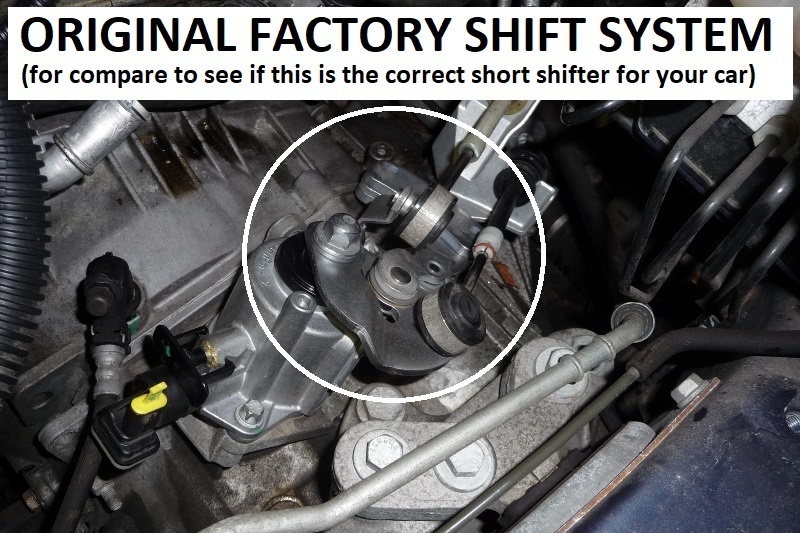 Take a look at the last picture, it shows the OEM factory shift system. we received the shipment very quickly! My short Shifter for my Astra J VXR/OPC arrived yesterday. I fitted it yesterday when it arrived. The difference from standard is night and day. It's an absolute blast to drive with. Thank you so much for a great product! Extremely easy to install, and its most certainly worth the money in purchase. Thanks once again for your help when I called you about my address number not being entered on the order. Will definitely recommend your company in the future to anyone requiring a short Shifter. Amazing change, the second transfer to another planet! Nah I fitted the 4H-TECH shifter last night, and can I say it took under 5 mins to do, Pulled one linkage arm off, undid 1 15mm nut, and just pulled mine off...... With a little wiggle . That's it!!! Pushed new one on, did nut up and popped link back on. And Wow wow wow lol, it's like a new box I kid you not. Anyone thinking about it DO IT ... You will be amazed..